Are you able to provide proof of current liability insurance? What products do you have access to? Do you manufacture your own windows? What other products and services do your company provide? Will you be using standard size frames for my job? What guarantee do you have on workmanship and what guarantee do you offer on the windows & doors? Most companies offer a six-year guarantee with a limited three-year guarantee on moving parts. What guarantee do you offer? Have you ever had a judgment against you, violations with the California State License Board or complaints with the Better Business Bureau? What’s not included in the job? Can you explain the installation detail to me, and how it differs from others? What insurance do you have to protect my home and me? How will you handle the final details of my job? Do you have a safe work system? Who will be installing my new windows & doors? What sort of mess can I expect? Are your frames rated for acoustics? Yes, absolutely. We have always maintained liability insurance. It is not required by the California State License Board, so unfortunately not all contractors carry this insurance. Some replacement window companies only offer products from a single manufacturer. Companies with limited access to product will often make “recommendations” based on what they have available, rather than what’s suitable for your home. At FitzPerfect Windows - Doors and More, we are not aligned with a single manufacturer, but rather deal with all leading manufacturers… which allows us to make recommendations based on your requirements, rather than a limited product range. It’s impossible for any one manufacturer to offer a range of products to suit all applications. Window manufacturing and window installation are two completely different areas. At FitzPerfect Windows - Doors and More, we do not manufacture but source our requirements from leading window manufacturers, including Simonton, Milgard, Amerimax, PlyGem, Andersen, Marvin, Pella, VPI and International. Some companies are involved in all types of home improvement activity including siding, guttering & insulation. Because these companies are trying to cover so many areas, they often lack the expertise acquired when you just specialize in one thing. We are proud to say at FitzPerfect Windows - Doors and More that we only install replacement windows and doors of the highest quality. Using a standard size frame will usually cost less, but the finished job will suffer, as current standard windows sizes just don’t fit older homes. In order to get a quality finish, it’s essential to have the new frames custom-made..
Don’t let someone talk you into using standard sizes as a way of saving a few dollars. Once you have placed an order with FitzPerfect Windows - Doors and More, you will be contacted by one of our check measures. The check-measurer’s job is to calculate the exact sizes needed for your custom made replacement frames. Every window and door we use at FitzPerfect Windows - Doors and More is made to measure by one of our quality suppliers. In some organizations there is no one to carry out this vital role or it’s left up to the sales representatives. At FitzPerfect Windows - Doors and More, the owner is on site as part of the production team. The owner works with the crew exacting standards we expect from our installers. Guarantees offered by other companies generally vary from One Year to Three. We offer a lifetime guarantee on installation and there is a Limited Lifetime Warranty for our various Windows and Doors manufacturers. This is a fair question to ask any contractor. You hear so many horror stories about the building industry these days and I’m sure you don’t want to be a victim in one of them. At FitzPerfect Windows - Doors and More we have an impeccable score card in this area. Your satisfaction is our primary aim as the foundation of our company is referrals from existing customer, just like you. Most companies will tell you what is included, but make sure you have a clear understanding of what hasn’t been allowed for. In dealing with FitzPerfect Windows - Doors and More, you know exactly what’s included, so there are no unexpected surprises. Our contract spells out the full extent of work and any exclusions in plain English. You should ask for and be able to get references of jobs of a similar type of work. The best way to see the difference between contractors is to look at jobs that are complete and judge for yourself. Our representatives will happily arrange for you to talk to a few of our many satisfied customers. DO ask questions and have the contractor explain details in terms you understand, until you feel comfortable that you know how they plan to install the products. The details of how products are installed can be the difference in price and quality that you want. Our sales representatives will customize the installation detail to suit your needs and the construction of your home. In addition to Liability Insurance, companies should also have Workers Compensation coverage in place. Certificates of Insurance should be available on request to substantiate insurance coverage. FitzPerfect Windows - Doors and More has all necessary insurance in place. There are two issues, first the length of time to have the frames delivered to site and the second is the duration of the job. If someone tells you they can do the job in a short period of time, question how that’s possible. You may find they have no other work or even worse, are planning to use standard size frames. Depending on the product, our delivery time is usually around 3 weeks from the time we receive your contract and deposit. We start work as soon as the frames are delivered and work through until the job is finished. We’ll never start more than we can finish in a day so you never have to worry about having a hole in your wall overnight. Whatever existing frames we remove, we absolutely guarantee to have the new frames installed in the same way. When the job is basically finished, there should be a process in place to look over the finished installation and record any areas of concern you may have. If there are any outstanding items, there should be a process in place to get the job to 100% complete. At FitzPerfect Windows - Doors and More, we provide you with a completion check list and customer feedback sheet for use at the end of your job. At the completion of your job we ask you to note any areas that you feel need attention and ask for your comments on the overall customer service that you’ve received in your dealing with our company. The completion checklist can be given to our installer or sent to the office in the reply paid envelope provided. Your feedback sheet is in addition to a completion checklist that all our installers complete at the end of every project. The installer feedback sheet is sent to the production department on completion of the installation. Department of fair trading records show that a very high percentage of new building businesses fail within the first five years of trading. 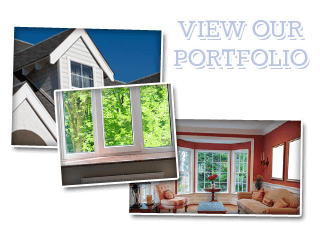 FitzPerfect Windows - Doors and More has been in business successfully since 2002. Members of our management team have been in the replacement window business for over twenty-four years. There’s no substitute for experience. Does the company have sufficient resources to carry out your project professionally and with the level of service you want? 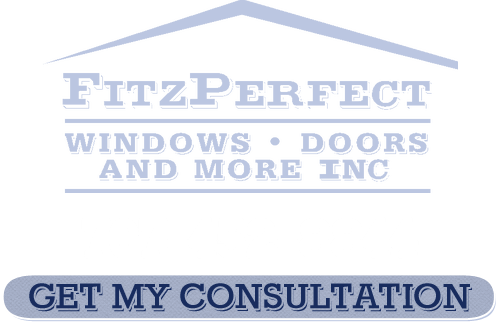 At FitzPerfect Windows - Doors and More, we are small enough to care, but large enough to undertake just about any size project, while providing exemplary customer service. Occupational health and Safety is a big issue these days. All companies should comply with OHSA requirements and have safe work procedures in place to protect their workers and your family. We have a documented safe work system in place that complies with current OHSA requirements. All FitzPerfect Windows - Doors and More personnel have been indoctrinated into our safe work system. Daily risk assessments are carried out to ensure your safety. Some companies do not have sufficient work to maintain a permanent team of installers and will have to use outside contractors. Because of the volume of work we undertake we are able to maintain a permanent team of expert installers and as we only install replacement windows and doors our installers have extensive experience in all replacement window installation situations. Any new installers are vetted and undergo thorough training in the FitzPerfect Windows - Doors and More system. All building work generates some disruption and dust, however a little care on the part of the installer can make all the difference. Our installers take care to minimize the disruption caused during the installation process. Drop sheets are used throughout the job and all rubbish is removed on completion of the job. Some companies may be offering a seemingly low price, but remember the lowest price is not always the best value for money. A good price is one where you are receiving quality products, expert installation and a strong Guarantee. At FitzPerfect Windows - Doors and More, we decided a long time ago that we would much rather explain price than have to make excuses about quality. Noise levels are becoming a major issue and the selection of correct framing systems can have a significant impact on the reduction of noise inside your home. Many companies are producing windows and doors that have not been tested for acoustic performance and their installation may have little or no effect on the reduction of noise levels. At FitzPerfect Windows - Doors and More we deal with fabricators who have tested their frames for acoustic performance. Many different framing and glazing options are available for reducing noise transmission. Remember… ask any contractor you’re thinking of using these questions BEFORE you sign anything! If you are looking for FAQs about Replacement Windows and Doors in Vacaville then please call 707-452-8844 or complete our online request form.